A classic Stainless Steel timepiece by Diesel, produced with a Chronograph dial featuring the Date and Luminescent Hands & Markers. It has also been designed with a fold-over clasp and a 100m Water Resistance and also provides great comfort for wear, allowing you to wear this spectacular over sized timepiece for any occasion, whilst completing any attire! 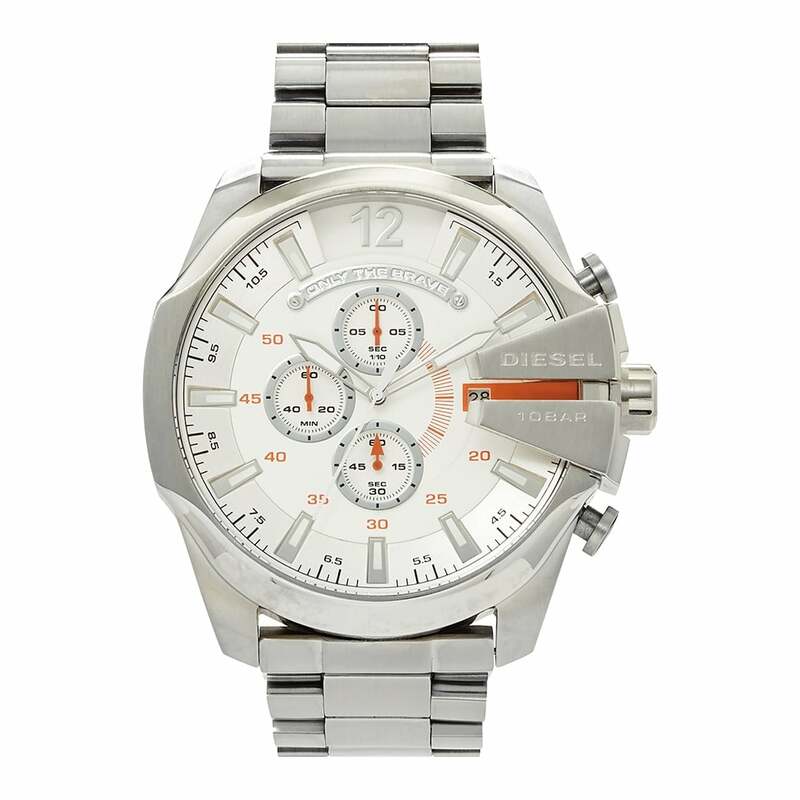 Carefully presented in an Official Diesel Presentation Box, this Mega Chief timepiece comes with a 2 year Tic Watches Warranty.